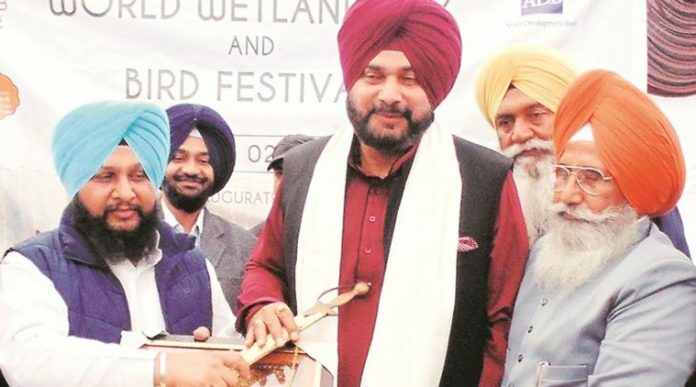 This comes a day after Punjab Chief Minister Amarinder Singh gave nod to declare the endangered Indus River dolphin, found only in the Beas River in the country, as the state aquatic animal. Sidhu also inaugurated a photo exhibition of birds found in Harike, Nangal and Keshopur. These photographs were sent by different photographers who participated in a competition organised by the department of tourism. He also distributed cash prizes among the winners of the photography competition. Around 100 students were taken on a guided bird watching tour in the wetlands with assistance from the local wildlife officers.